"There will be no further extension given to taxpayers for filing their GSTR-1 return for July," said government. About 53 lakh taxpayers had filed GSTR-3B return for the month of July 2017. 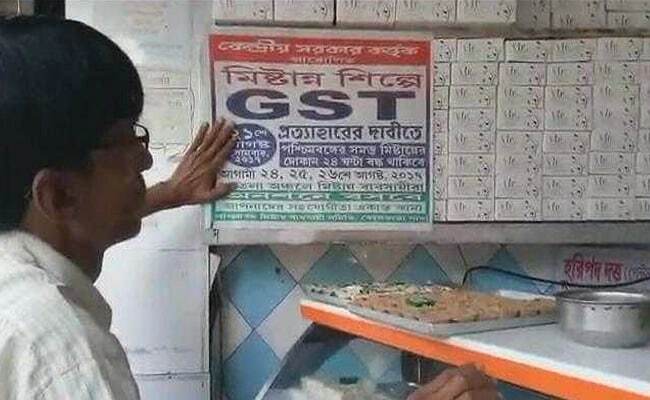 New Delhi: The government on Monday asked businesses to file final GST returns for the month of July by tomorrow as it ruled out any extension to the due date. "An extension of two months has already been given. There will be no further extension given to taxpayers for filing their GSTR-1 return for July. Taxpayers who have not yet filed their GSTR-1 for July are advised to do so immediately," the finance ministry said in a statement. Once a taxpayer files GSTR-1 by October 10, the corresponding entries in GSTR-2A of his buyer shall get auto populated. The buyer shall finalise his GSTR-2 after making modifications, if required, in GSTR-2A and avail the Input Tax Credit (ITC). "If a taxpayer does not file GSTR-1 by October 10, then his buyer may face difficulty in availing ITC of the tax paid on his supplies," it said. their buyers in availing ITC. As per the latest figure, about 53 lakh taxpayers had filed GSTR-3B return for the month of July 2017. An equal number of taxpayers need to file GSTR-1 by October 10, 2017. The government has already collected over Rs 95,000 crore as GST in July, the first month of roll out of the Goods and Services Tax.